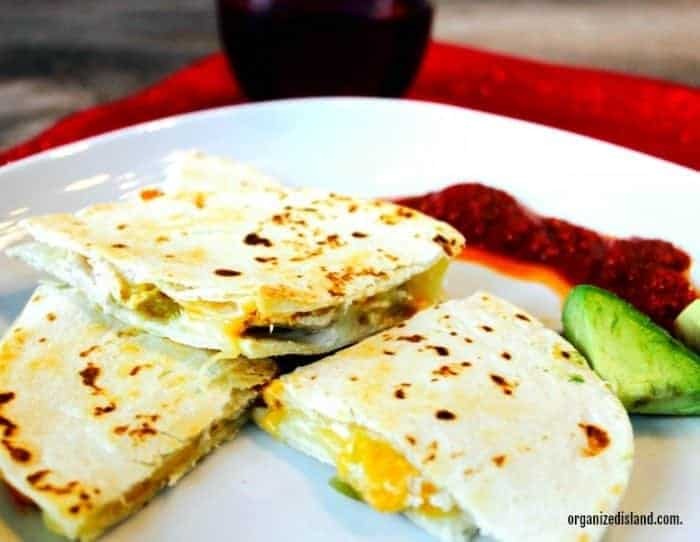 This Easy Chicken Green Chili Quesadilla recipe is perfect anytime for a quick lunch, dinner or appetizer! 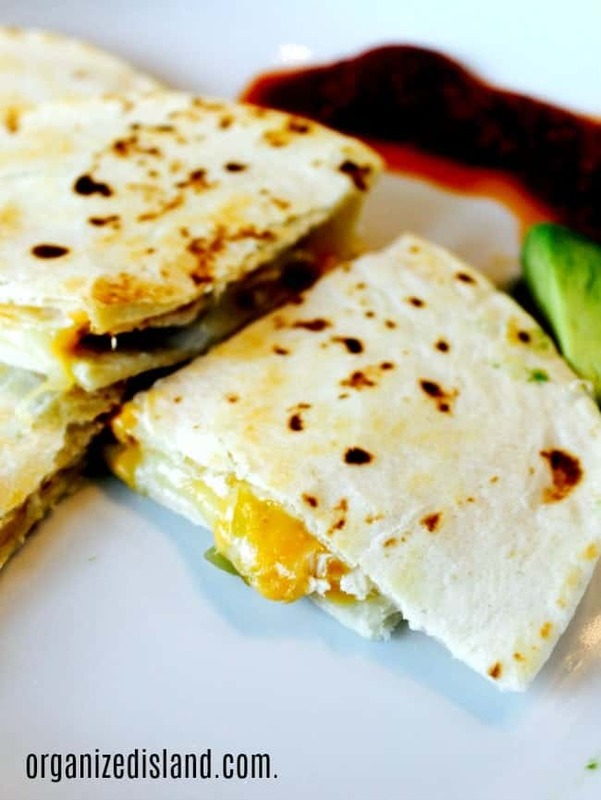 This quick Chicken Green Chili Quesadilla is one of the easiest recipes to put together. Perfect on its own for a weeknight dinner idea, or pair it with a warm soup for a comforting meal. It is a great way to use up leftovers too. I used mini flour tortillas, but you can use corn tortillas, if you prefer. The result is cheesy goodness. 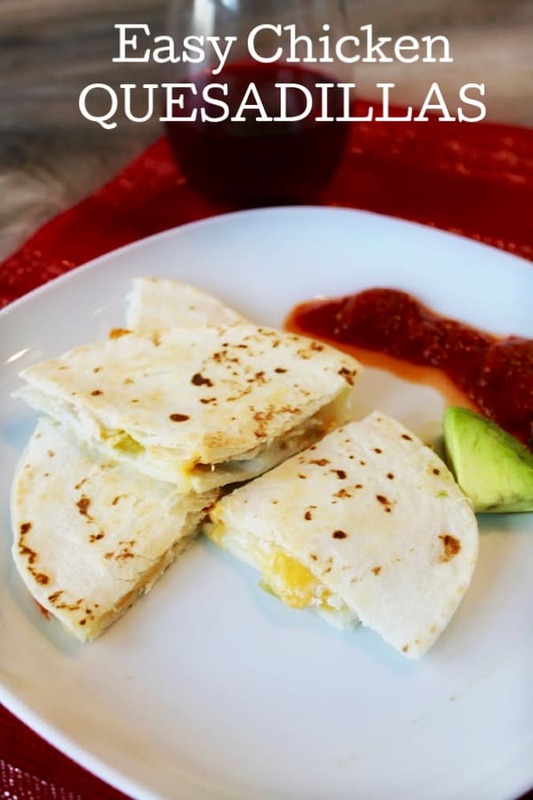 For a quick snack, I serve it with some salsa and avocado or with a hot soup. It is great for a weeknight recipe idea. You can mix up the meat and use leftover beef or pork in place of the chicken. 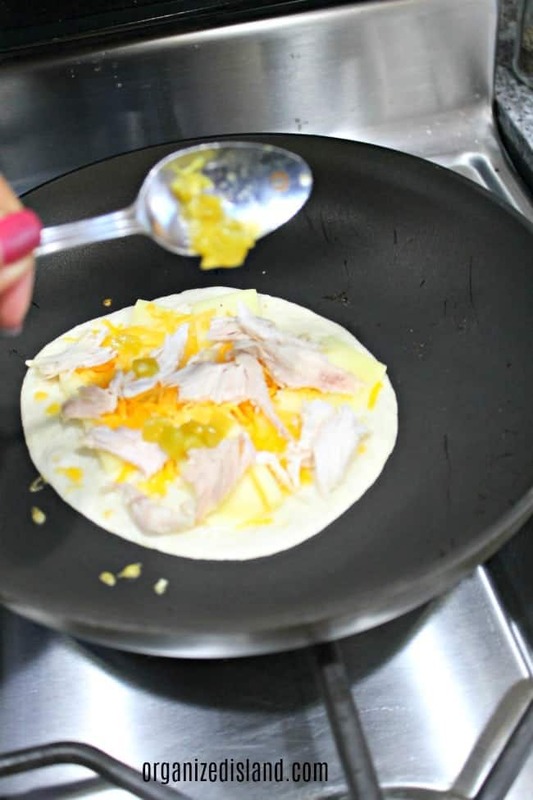 Place tortilla on a saute or skillet pan over medium heat. 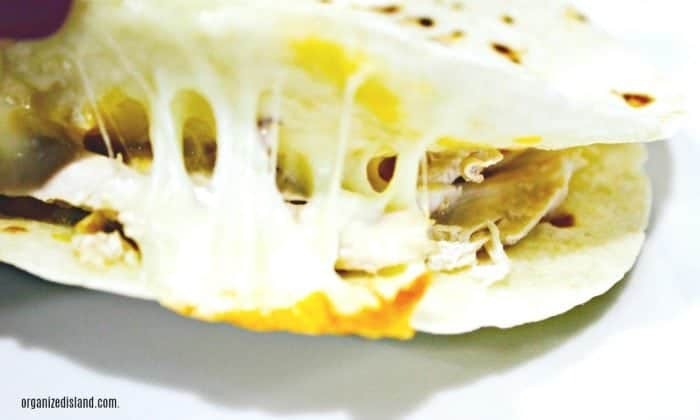 Top with a second tortilla and cook until bottom of tortilla is golden brown. 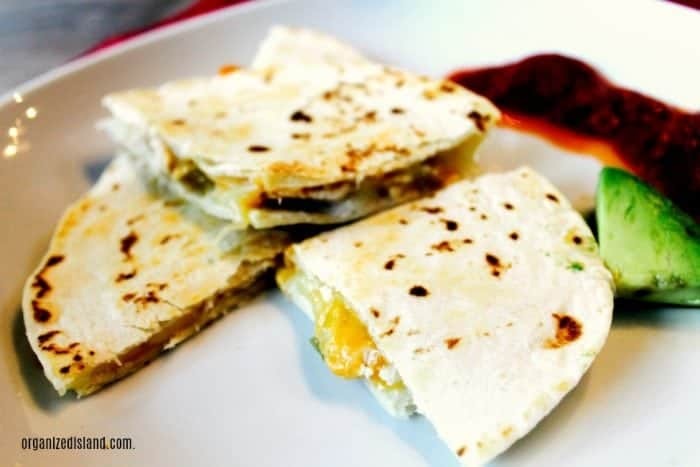 Flip tortilla and cook until remaining side is golden brown and cheese is melted. Move to a cutting board and cut into wedges for serving. Serve with salsa, avocado and sour cream if you wish. We hope you enjoyed this quick meal idea! Pin it for later. I have such a deep love for green chiles. I used them for my chili last week. So you can see this recipe will be a must in my house! Agreed that they are a great pantry staple and so good in recipes!